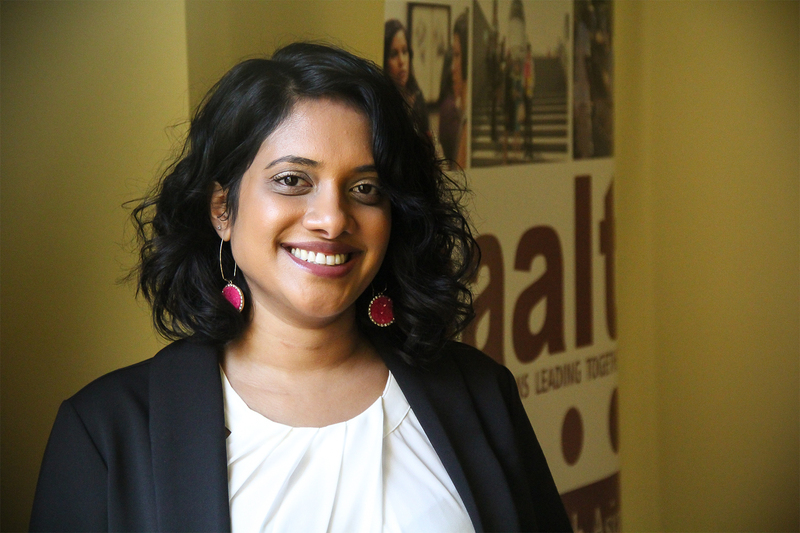 Lakshmi comes to SAALT with a deep commitment to racial justice. Most recently she served as the Policy Director for The Praxis Project, a Washington-DC based, national movement support organization. In that capacity she provided policy, research, training, and campaign development support for grassroots organizations in communities of color working to advance health justice legislation at the state and local level. She also represented Praxis in various coalitions to engage policymakers, funders, and national civil rights organizations in creating integrated and shared agendas for improving health outcomes in communities of color. Before this, Lakshmi completed six years of work in New Orleans, Louisiana where she started as a community development specialist with Bright Moments public relations firm and PolicyLink to produce findings and recommendations for improving federal contracting opportunities for Disadvantaged Business Enterprises after Hurricane Katrina. She concluded her time there as Director of Programs for Neighborhoods Partnership Network (NPN). Much of her work there was focused on building neighborhood organizational capacity among the over 100 NPN members, helping shape local advocacy campaigns on participatory budgeting, public school closings, and infrastructure improvement, linking these to state and federal policy efforts. Lakshmi holds a Masters degree in City Planning from Massachusetts Institute of Technology and a B.A. in Ethnic Studies from The University of California, Berkeley. To reach Lakshmi, email lakshmi@saalt.org.